Christian Pollock is a 4th-year Political Studies student at the University of Saskatchewan in Saskatoon. He is an active member of his campus and the broader community, serving as the Vice-President of Operations and Finance for the Political Studies Students’ Association, volunteering in numerous capacities with the University of Saskatchewan Students’ Union, and sitting on the Board of Directors of a local non-profit promoting all-ages music. He currently works at the Diefenbaker Canada Centre researching reconciliation efforts and Indigenous governance, leading educational programs on Canadian political institutions, and travelling across Saskatchewan to engage the public with Canadian history. He spent the summer and fall months of 2017 interning with the Saskatchewan Association of Immigrant Settlement and Integration Agencies and operates his own studio where he teaches music theory and percussion. In his spare time, Christian likes to play in various community bands, attend plays at Saskatoon’s Persephone Theatre, write non-fiction, and, of course, engage in thoughtful political discussions with his family, friends, and all else who are willing! Alessia is finishing her Honours BA in International Relations and Ethics, Society and Law at the University of Toronto. Throughout her undergraduate career, she has engaged in research at the intersections of law, sociology, politics, ethics and history on a variety of domestic and international issues. Most recently, Alessia researched peace negotiations between the Taliban and the Afghan Government for Trinity College’s Comprehensive Paper Program. She has also spent the last year in Toronto’s Regent Park as a student-researcher with Supporting-East-End-Neighbourhoods, studying best practices for trauma-informed community organizing and the enhancement of community health. Alessia is a 2016 Queen Elizabeth Scholar, and lived in Guyana studying private-public partnerships with Indigenous communities. Last summer, she returned to Guyana to research the country’s decision to develop its offshore oil and gas sector and its implications for Indigenous communities. 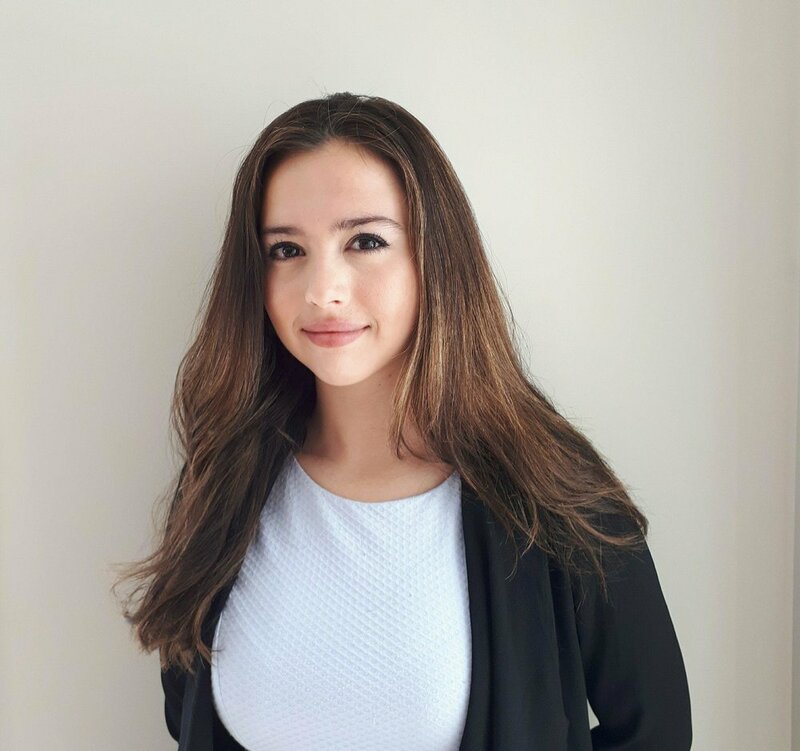 Alessia has been involved at U of T as a Senior Leader in the iConnect program, an Orientation-Week Leader, Senior Executive Editor at Mindful, and as an Analyst for the G7 and G8 Research Group at the Munk School. She is excited to work on the Hill this summer and learn more about how Canada’s Parliament can foster deeper connection among Canada’s diverse communities, and enhance its responsiveness to the needs of our most vulnerable. Matthew Yau is in his final year of the Health Sciences program at McMaster University. His passion for public policy stems from a desire to improve population health and reduce inequality. Matthew is interested in developing policy to address the social determinants of health, such as affordable housing, social security nets, and accessibility of healthcare.As a Queen Elizabeth Scholar, Matthew completed a joint internship at the British Medical Journal and the University of Cape Town to develop clinical decision support tools. He currently supports evidence-informed policymaking by maintaining a health systems evidence database as a research assistant at the McMaster Health Forum. At McMaster University, he has served as an Editor-in-Chief of McMaster’s Undergraduate Health Sciences Journal and established the Youth Housing Working Group, funded by the Ontario Public Interest Research Group. Matthew has volunteered with special needs children for 3 years and conducted research on the relationship between infant motor coordination and neurodevelopmental disorders. In his spare time, he curates his ever-expanding collection of green tea. Berthier-Maskinongé is a rural riding that sits between Montreal and Quebec City on the St. Lawrence river and it’s a place I didn’t know too much about before the start of my internship. As a student of international relations, I chose to pursue this internship specifically to remedy my lack of experience in Canadian politics and to gain an understanding of the minutia of policy making through real experience in legislative affairs, while also potentially learning about some new places and people. It’s fitting then, that the thematic focus of Ruth’s work as the NDP Critic for Agriculture and Agri-Food was also relatively elusive to me. A week into the internship, I found myself immersed in the policy foundations of farming, and trying to learn about everything from environmental resilience programs, to federal-provincial partnerships and investment for agricultural growth. Communities like Bertheir- Maskinongé, along with 338 others, play an integral role in the legislative system of Canada, quite literally providing the infrastructure of seats for regional representatives to fill. I quickly learned that this relationship is not so simple. MPs who represent Canada’s communities are supported by staffers, reported on by the press, draw on research from public servants, shape their position based on consultations from constituents, and anchor their activities closely in line with those of their political party. Still, they influence, and are influenced, by so many more people. Policy is complicated, and people are in the trenches, working along lines of difference to make the right decisions and find meaningful impact. That’s why I really appreciate the way this internship provides the opportunity to meet people, whether its stakeholders at the office, or Ministers who you quite literally run into in the hallways or at frequent receptions and garden parties. The conversations organized by the internship board are especially fascinating and curated in a way to make you really think about what the idea of personal relationships in politics mean. I particularly enjoyed meeting MP Marco Mendocino and Minister Scott Brison and of course the Prime Minister! It turns out the divide between the familiar and unfamiliar is very thin and that I know much more about agriculture than I had initially thought. Connected closely to issues like Canadian trade, industry, environment, and health, agriculture is incredibly important. The concerns of Canadians and constituents like dairy and lumber producers about NAFTA have made my work particularly interesting and my awareness of the importance of politics very acute. What’s more, is that farming is a very personal, family-driven practice where connections to land and labour have deep roots – something to keep in mind as I work with a highly organized agricultural community that fights to protect its interests. In addition to my work researching major policy issues like NAFTA and CETA, writing questions for question period, dealing with correspondence, and attending technical briefings, I am responsible for helping to prepare Ruth Ellen for Agriculture and Agri-Food Committee. She is Co-Chair of the Committee, where cordial relationships and an easy non-partisan effort allows parliamentarians to engage in serious research studies and initiatives, like when the Committee recently travelled to Washington to speak with Congressmen and Senators about the merits of NAFTA. For Agriculture Committee, I have had the opportunity to prepare questions for the Auditor General, break down the budget to understand how agricultural financing is doing, meet witnesses representing industries from all over Canada, research debt and financial sustainability, identify steps forward for Canada to remove non-tariff trade barriers with its existing and emerging trade partners, and investigate payment protections insurance schemes for Canadian exporters. Something curios has happened to me while doing this work. I am seemingly incapable of removing myself from the 24-hour news cycle. Every morning I am responsible for creating a press review and sending it to our team. Having the responsibility to comb through the media and follow up daily has probably contributed to this, but being on the Hill and wanting to know more about every cool meeting that is happening in my building, press conference announcing something historic, or landmark speech like Minister Freeland’s on foreign affairs, has contributed to my obsession too. We have been lucky to get a real sense of media operations and the creation of the news, with visits to newscasts in Ottawa including CBC’s Power and Politics with Rosemary Barton and Global’s National News with Vassy Kapelos. Being there on Canada Day steps away from Peter Mansbridge as he said his last words as a broadcaster were also pretty special. I am fascinated by the cyclical nature of the relationship between the press and politicians, and just how much they rely on each other’s work. I feel extremely lucky that my first foray into Canadian politics has been as a Jaimie’s Intern. Hard work, graciousness, and good public service are principles unquestionably embodied in this internship and the people who are a part of it. I will always be thankful for the way this internship has genuinely motivated me to stay connected and involved in Canadian politics in the future and to understand the roots of Canada’s position in the world not just through practice from abroad, but right here at home. As I reflect on my first few weeks as a Jaimie’s Intern, working on the team of Randy Boissonnault (MP for Edmonton Centre and the Prime Minister’s Special Advisor for LGBTQ2 Issues), I cannot help but to think of former Prime Minister Brian Mulroney’s convocation address at my graduation. Mr. Mulroney stressed the value of education and opening our arms to include one another within Canada and across borders. Working with Randy, especially because of his file on LGBTQ2 issues, has allowed me to recognize and appreciate that much of Canadian politics rests on relationships and inclusion. The levels of inclusion I’ve seen my time on the Hill rises from my own personal experience in Randy’s office, to political inclusion on the government level, and finally up to global inclusion as Canada connects with international issues. On my first day on the Hill, I was immediately included as a true member of Randy’s team at the ground level – drafting letters, attending meetings in Centre Block, and working on policy analysis with an eye towards potential effects on Edmonton, Indigenous peoples, and the LGBTQ2 population. I was whisked up another level of inclusivity on day one, as Randy graciously gave me a tour of Parliament Hill that culminated with a surprise visit to Prime Minister Justin Trudeau’s office to introduce us – this a true honour and a thrill! Similarly, the Andersons have included Joudy, Zac, and me in family dinners, garden parties, and a visit to the CBC where we have met many of our political heroes. This inclusion has been a privilege for all of us. These events certainly are so much fun, and they are also deliberate efforts to introduce us to individuals who shape the Canadian political space – and to integrate us into that fabric of political life as well. Through these experiences, I’ve learned more than I ever thought possible from many different individuals. I’ve also seen high levels of inclusivity at the government level as I’ve worked on material and sat in on meetings for the Standing Committee on Justice and Human Rights. Through this file, I’ve been given the opportunity to research and analyze current provisions in the Criminal Code and the ground-level effects on certain human rights. I drafted study proposals related to these issues, which were ultimately approved as potential future studies by the Justice Committee. Analyzing bills and laws from a human rights perspective has been rewarding and illuminating – I’ve learned to look at legislation from more pluralistic angles, which speaks to the importance of considering many viewpoints when drafting laws. This was perhaps best manifested when Minister of Justice Jody Wilson-Raybould attended Justice Committee to answer questions. Some questions from the opposition directed towards Minister Wilson-Raybould were quite pointed, but certainly represented some constituents’ perspectives. As I listened to these questions, and the Minister’s reply about her commitment towards protecting the rights of all Canadians, I felt proud that a variety of voices could be included, heard, and represented on a public forum – and that, ultimately, all political parties can work together to uphold the Charter of Rights and Freedoms. For me, the pinnacle of inclusivity is the international relationships Canada fosters, as our country works with our allies to learn, share advice, and promote global connection. Joudy, Zac, and I saw this during the International Day Against Homophobia and Transphobia reception, which Randy co-hosted. Members from each major political party shared remarks, asserting that human rights are a non-negotiable, non-partisan, and international issue that we must commit to both locally and abroad. I also witnessed this global connectivity while attending a Standing Committee on Citizenship and Immigration meeting studying the importance of protecting forced migrants (both internally displaced and refugees coming to Canada), and again while meeting the former Prime Minister of Ukraine, Arseniy Yatsenyuk. Mr. Yatsenyuk spoke about his visions for the Canadian-Ukrainian and EU-Ukrainian relationships, and how those relationships would benefit each country from human rights and political standpoints. I’ve learned that we must include a cross-section of people in representation domestically and internationally, because representation helps foster empathy and empathy helps us uphold protection of human rights. In Canada, we still have much work to do – most notably regarding Indigenous rights, which I am learning more about by attending Indigenous Caucus and human rights panels on the Hill. While we must achieve more, I think Canada has a good foundation for human rights protection upon which to grow. As such, being part of Randy’s work has been enriching as we assess, improve, and build on some of those foundations. With this mindset, I am excited for the additional learning and adventures the next three months will undoubtedly hold!